A mix of static content, programmed content using live data, scriptable content. However all this is held in place by a certani page strcuture common to that page called a Template. The template is the core UI/UX design that holds across pages and hence requires design, skill and planning. Typically a template should not be modified without involving a developer or experienced HTML/CSS person. However, considering organizations having various expertise levels, an organization can go in and modify the core template itself. Any change to the template should be communicated back to the developer because when there is am upgrade the site, the developer may overwrite your templates with the version they are in posession of. Templates are not just restricted to web pages, can also be for Emails, and we may want to modify the look of an email templates. How emails render are different and should again be handled by someone with experience. The template manager, allows you direct access to all the UI or template files like .html, .vm files (and more can be configured by your developer). You can simply open the file representing the template, or template-part and edit it in the editor. However please note the differences in modifying templates Vs regular content in the CMS..
A template is typically a physical file on the web server. 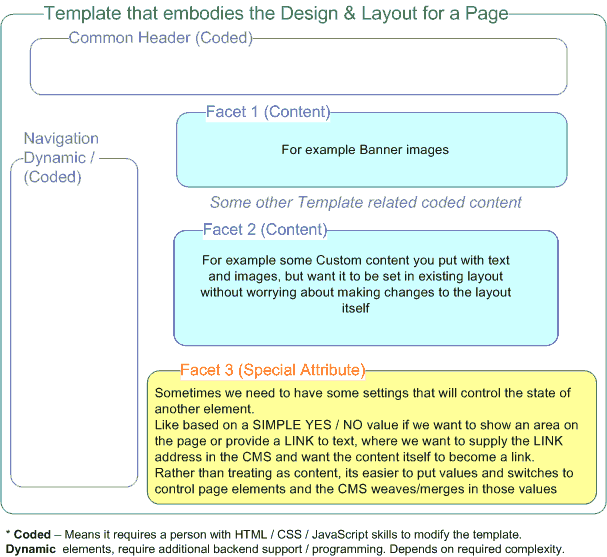 Changing this file wil result in site wide changes for all pages related to that template. This can even cause those pages to break or fail, if not tested properly. Unlike content, templates do not have a Preview or Publish feature. This is because the default implementation these are the backbone files and dont have a fallback. You should backup any template you modify and replace it via the Template Manager or replace the file via FTP, incase of a problem. A template may rely on some parts that are conded or need backend support. For that you have to rely on the developer to make changes. Or if you really want to make server related changes to a section of content, you can try CMS advanced features. 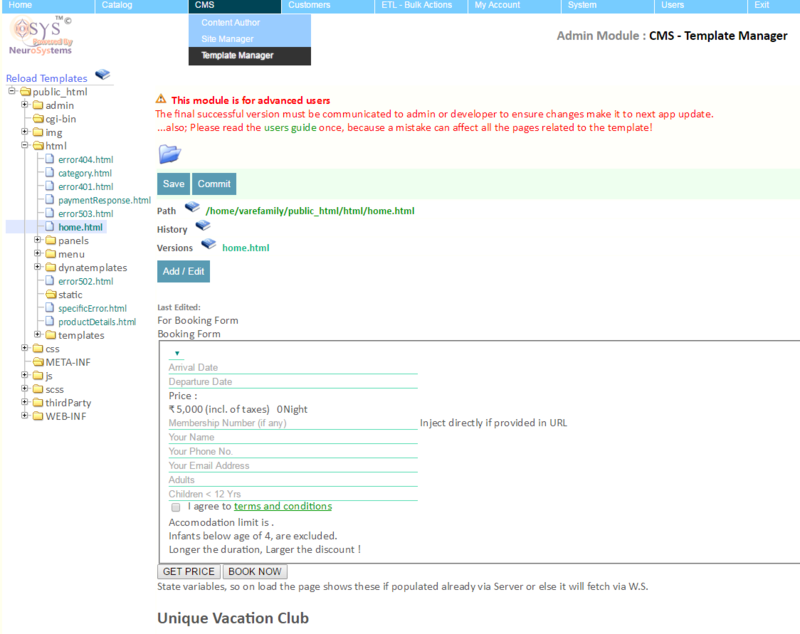 Website page related templates and files will be (but not restricted to) in the html and html/templates folders. Other templates like email templates will have a .vm extension to them. These are velocity templates. You can read the velocity guide and also understand CMS advanced features, on how they work if you intend to go beyond basic aesthetic changes.